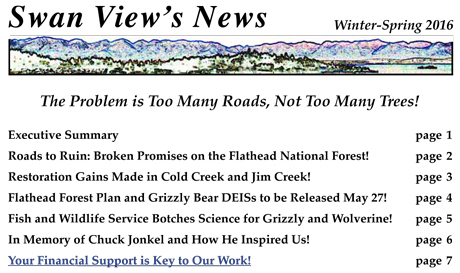 Our "Roads to Ruin" report also describes how "collaborative" groups are being misused to promote the notion that the biggest problem in our public forests is too many trees, when research clearly shows the biggest problem is too many logging roads! Below is our newsletter's table of contents and you can click here to view or download it as a pdf. We hope you enjoy the newsletter and our new report - and will join others in supporting our work! 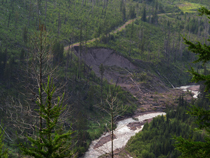 Fish, wildlife, wilderness, and people are counting on us - and you!